Lock in a great price for Sorell Hotel Arte – rated 8.2 by recent guests! 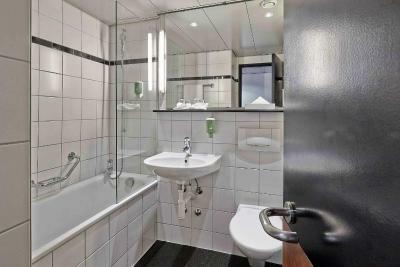 The hotel is in an excellent position for a tourist or business visit to Zurich - very good value for money or money - excellent and friendly staff - parking space secured in the underground garage - close to the shopping center. Worth to visit. . . . . . The bread was sensational - along with other beverages and food served! Good hotel, free garage, breakfast was good. Close to the Zurich center. Safe deposit box in the room. Great staff handy to MacDonald's,20mins airport, great value! Nice and clean room, the hotel is modern and updated. We use this hotel as a stop over from drive to ski resort and it ticks all the boxes. Nice clean room, friendly staff and a delicious breakfast buffet. Sorell Hotel Arte This rating is a reflection of how the property compares to the industry standard when it comes to price, facilities and services available. It's based on a self-evaluation by the property. Use this rating to help choose your stay! The Sorell Hotel Arte is close to the highway A1 Bern/ Basel, only 15 minutes by car from Zurich and the airport. Access to the spa area with the Finnish sauna and the steam bath is included in the rate. Delicious Swiss and international cuisine is served in the restaurant or on the summer terrace of the Sorell. The Arte hotel also features a Bowling Centre with 6 modern bowling alleys with glow effect and a children's corner. This property also has one of the top-rated locations in Spreitenbach! Guests are happier about it compared to other properties in the area. When would you like to stay at Sorell Hotel Arte? Access to the spa area is included in the rate. The modern rooms have Wi-Fi access and hardwood floors. These large rooms are furnished with superior design, and they come with Wi-Fi access, hardwood floors and a lounge area. Access to the spa area is included. 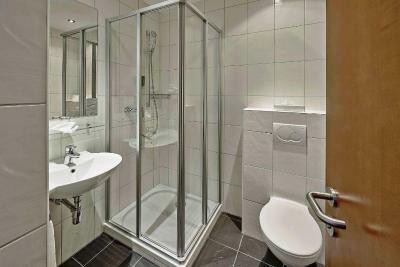 Conveniently situated near the city of Zurich and the airport. Modern rooms and a cozy restaurant with International and Regional specialties. House Rules Sorell Hotel Arte takes special requests – add in the next step! Sorell Hotel Arte accepts these cards and reserves the right to temporarily hold an amount prior to arrival. Garage could be closed by night. do not have any complains and it satisfied all my needs for rest point at my tour. Tout ! Le customer service !